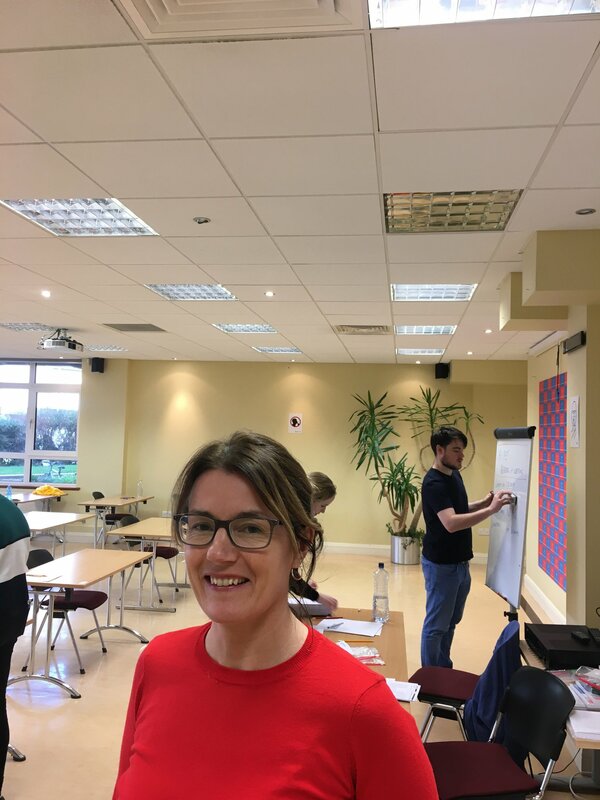 Here we interview Anne-Joyce McCarthy, IELTS teacher at Galway Cultural Institute. Today we're talking about the Academic IELTS exam, IELTS preparation courses and what it takes to move up through the levels. IELTS stands for the International English Language Testing System, and it's an internationally recognised English exam that many people need and use for migration (visas) or to further their studies, for example, to a Masters in an English-speaking university. For that reason, it is a high stakes exam for many people. How is the IELTS exam scored? IELTS is scored from 0 up to 9.0 and you can have half scores too, e.g. 4.5, 5.0, 5.5. Many universities require a 6.5 or a 7.0 for entry onto a Master’s Programme or other postgraduate courses. Professional bodies, for example the Medical Council in Ireland, look for a 7.0, which would be the equivalent of C1 in the European Common Framework of Reference (CEFR). Within the IELTS exam, there are 4 components - Reading, Writing, Speaking, and Listening. Each one is scored individually. Then the scores of the four parts are averaged and that's how you get your final overall mark. What is the difference between the IELTS exam and the Cambridge Suite exams, like First Certificate (FCE), Advanced (CAE) and Proficiency (CPE)? 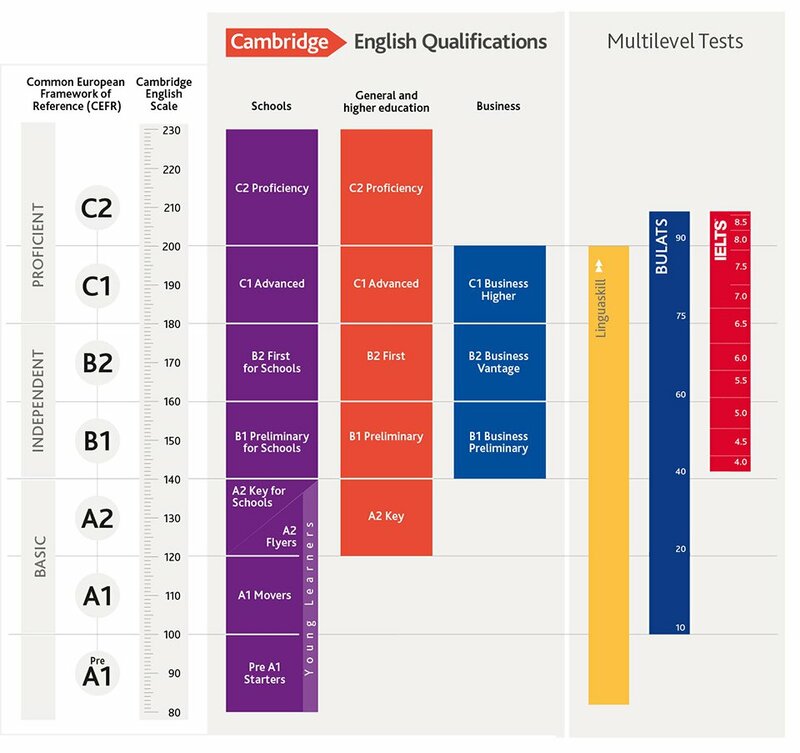 With Cambridge there are different exams at different levels. For IELTS, you take the same exam regardless of your level. With IELTS, there are two options: General and Academic. Here at Galway Cultural Institute, we prepare students for the Academic IELTS Exam. Classes are quite focused for those needing the exam for higher education or professional purposes. The Writing part is very academic compared to CAE, for example, where there is much more ‘wriggle room’ for creativity. Also, with the Reading paper, there isn't as much grammar in the IELTS exam, it's much more about speed and being analytical. In the Listening part, you get to listen to the listening parts once and once only (like you would in a real university lecture), so the IELTS is more difficult in that respect than the CAE where you listen to each section twice. The Speaking part last for between 11 – 14 minutes and you have to complete 3 sections. This part is done on a one-to-one basis with an examiner, compared to CAE where you take the speaking test with a partner. All in all then, it very much depends what you want to use your English qualification for. How do Academic IELTS Preparation Courses work at Galway Cultural Institute? Our teachers cover the full range of skills in all classes. At Galway Cultural Institute we have syllabi specifically designed according to the length of each course. So, if it's a six-week course, a six-week syllabus is used. The teachers work collaboratively in terms of what they cover in the classes and they ensure that all four skills are covered. We also fully prepare students by doing a lot of practice exams, especially practice speaking exams. We also include a full mock exam day. This is a really vital part of our Academic IELTS preparation course as it helps you understand how important preparation and timing are. After a mock exam we give you feedback to ensure that you know where you can improve and where your strengths and weaknesses are. This helps you feel as prepared as possible for the real IELTS exam. Studying independently or with a study group outside of your classes helps as well of course. The teachers in the Galway Cultural Institute library will direct you to whatever course books you need, whatever websites or other resources you need. There's a huge amount of help available here in Galway Cultural Institute. Can you choose any length of IELTS Preparation Course or are they of a fixed length? There is a range of preparation courses to choose from, whether you want a really short, intensive course or a longer nine-week course, GCI can accommodate your exam preparation needs! There are four-week IELTS preparation courses, six-week courses and nine-week courses... depending on what level you're at, what your own time constraints are, and your own needs. Is there a minimum level required to join the IELTS Preparation Courses? The very minimum is B1. You need to be a strong B1, preferably B2. Realistically, anything lower would prove to be a real challenge. How long is the IELTS score valid? The IELTS exam score is valid for two years and after that you have to take the exam again. That's another difference between the IELTS exam and the Cambridge exams, Cambridge exams don’t really have an expiry date. It depends on a variety of factors, for example, how many classes you attend, how much work you put in yourself in the library and outside of school hours. For the speaking part, the more you speak English outside the classroom the better. It depends on how motivated you are as well. There are a lot of variables. So, if you do a minimum of classes at the school, how long might it take to get from IELTS 4.5 to 6.5? If you're living here in Galway you could do it in less than a year. Maybe 6 or 8 months. Again, it would depend on the course you have chosen. And if you are really motivated and take every opportunity to learn, both in and out of the classroom, how long might it take to go from IELTS 4.5 to IELTS 6.5? If you’re studying 20 hours per week, with all that outside work and speaking time, 12 weeks should be enough to get you from IELTS 4.5 to IELTS 6.5, but only if you put the effort in. You'd have to be super-motivated! Do you get any homework outside of the classes? How many hours of homework should you plan for on a Galway Cultural Institute IELTS Prep course? Every day you should expect at least two hours of homework. Here at Galway Cultural Institute we encourage autonomous learning, so rather than tediously correct work in class, we give answers with homework to promote self-correction. This allows teachers more effective use of class time. You can complete an exercise and check it yourself to see what you got right or wrong. We also encourage students to time everything and likewise teachers time everything you do in class. Exam time management can be a real challenge for students especially in the reading and writing parts. GCI works hard to prepare students effectively to get it right. So that's why the mock IELTS exam is such a fantastic opportunity? Yes, because you essentially practise doing the real exam in the exact location (because Galway Cultural Institute is also the testing location). When do you take the mock IELTS exam during the course? The mock exam is usually in the second-to-last week of the course followed by feedback on your results. Speaking mocks are carried out throughout the course. Teachers take you out of class and go through the speaking with you, one-to-one, on your own. That makes sure you're really prepared for the speaking part. Students are also given weekly tests in class to track progress, but the mock exam puts everything together back to back, in one big exam just like the real IELTS exam. What are the success rates like? We don't officially have knowledge of all students' pass rates, because that remains with the exam board. But our students like to come back and tell us! We have great success stories of people hitting and exceeding their target IELTS grade. In IELTS, you don't pass or fail. You succeed if you hit your target score. Galway Cultural Institute is an IELTS testing venue in the West of Ireland. Our school is set in a beautiful location overlooking the sea just minutes from the centre of Galway.